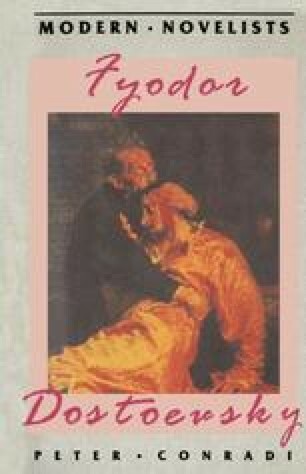 The question of Dostoevsky’s ‘modernity’ might be opened by comparing him with Dickens. As is often pointed out, the two are similar and yet different. In neither is the presentation of women really satisfactory. We get she-devils (especially in Dostoevsky) and comic matriarchs, both of whom partly exist in order to dramatise the predicaments of the male characters. Nature is painted in only a desultory fashion, especially in Dostoevsky. There is an idealisation and cult of the child in both writers as Romantic innocent and as symbol of future hope. Both attack utilitarianism and scientific rationalism, notably in Hard Times and in Crime and Punishment and Notes from Underground. And yet we feel flattered by Dostoevsky’s greater closeness to us in — to take one example — his eschewing of a ‘moralised’ use of death-bed scenes. Compare the deaths of Jo in Bleak House, or of Carker in Dombey and Son, with that of the Marmeladov parents in Crime and Punishment. Despite the developed taste both had for Grand Guignol, and their love of reading about or visiting scenes of horror, dying in Dickens has a much clearer moral or rhetorical function. In Dostoevsky, we feel tempted to say, it simply happens, and often engenders in us contradictory and confusing responses, closer to the messiness of emotion in real life.